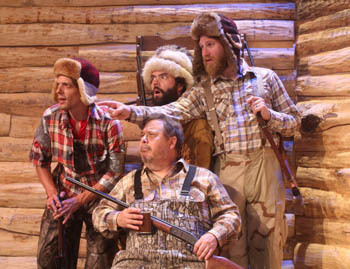 Just when you thought it was safe to go back in the woods, the Michigan classic, Escanaba In Da Moonlight, returns to the Ledges Playhouse. When the Soady clan reunites for the opening day of deer season, 35-year-old Reuben brings with him the infamous reputation of being the oldest Soady in family history to never bag a buck. 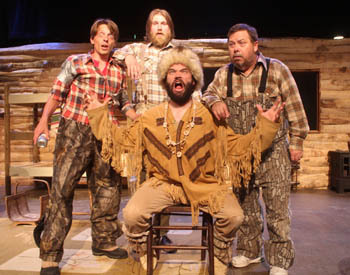 In the hunting story to beat all hunting stories, Escanaba in Da Moonlight spins a hilarious tale of humor, horror, and heart as Reuben goes to any and all lengths to remove himself from the wrong page of the family record book. One thing is sure, this hilarious hunting trip will be one for the Soady history books!